E is for Explore! : The Greatest! Practice place value and addition with three addends with this fun card game from Education.com! Each player gets dealt six cards. Next, they each create the highest three digit number they can make. Whoever has the largest numeral gets a point. Then, all the players add up their cards. The player with the highest sum gets a point. The winner has the most points at the end of the game. For older kids you can deal out more cards; so they can work with higher place values and more addends. 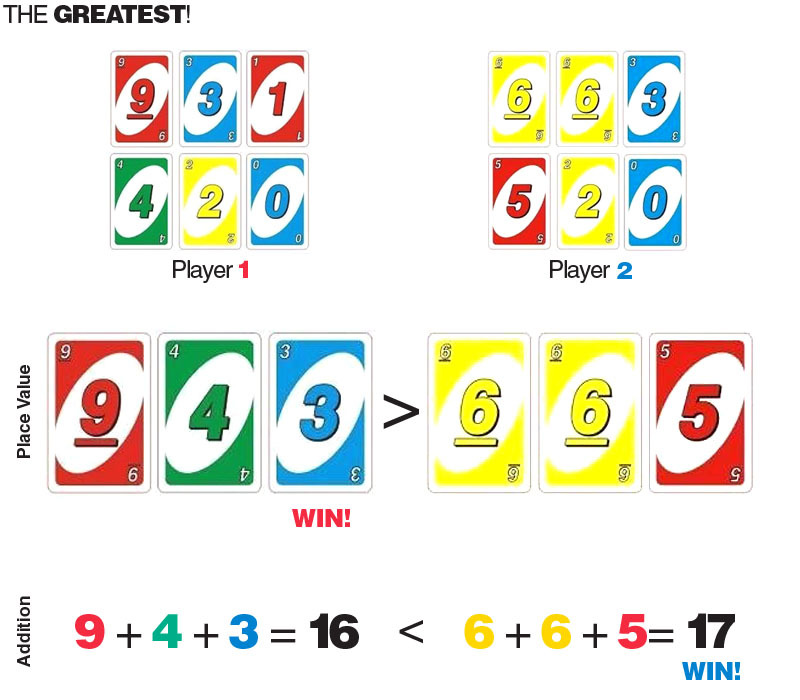 Check out more uno math game ideas here!